Single Wall Paper Cups are the most common and original form of a paper cup, until the double walled cup came into existence. 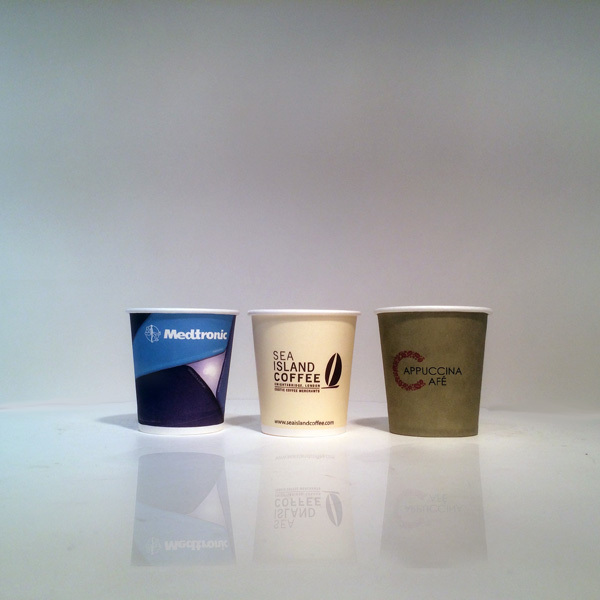 Single Wall Paper Cups are the original paper cups, invented to prevent contagious diseases from spreading. Before this, at common public places, people were forced to drink from water pots using mugs, and reusing the same mug were one primary reason of diseases growing to epidemic proportions Single Wall Paper Cups are suitable for all hot and cold drinks. 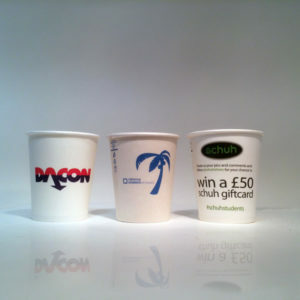 They are available fully printed with your own cup design or designed by our in-house design team to your specification. Branded paper cups effectively build and promote your brand in the marketplace, increase your sales, and results in better brand image and customer engagement. 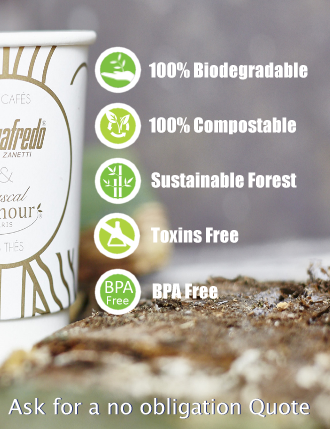 Paperboard used is food grade with biodegradable PLA lamination, extracted from Corn Starch. Minimum order 1000 cups for 8, 12, 16oz. 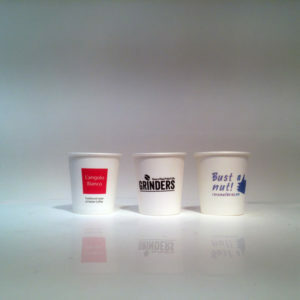 4oz Espresso cups from 3000. 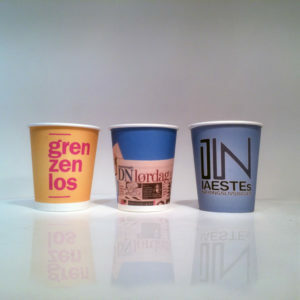 Printed Paper Cups have always been the favourite micro branding platform that people choose, and now with the 100% Biodegradable and 100% Compostable Paper Cups, the problem of contributing to land mass and water body pollution by contaminating the environment because the PE coated paper was not biodegradable, is gone forever. Bio Paper Cups degrade in 3 to 6 months in a composting system. 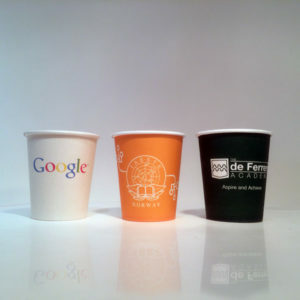 We only buy paper from paper mills that are either FSC or PEFC certified, to ensure that the paper cups you place in front of your customer, do not carry the guilt of deforestation, now with the same paper being PLA or Bio-plastic coated, you can be sure that none of your cups will end up in land fills and take thousands of years to degrade, and even then leave fragments of plastic that would end up contaminating soil and water. Single Wall Bio Cups provide an excellent space for promoting your brand. More suitable for cold drinks although hot drinks are also served in single walled cups. The PE coating and the thick high quality board used provides excellent insulation but for better heat insulation if you are serving very hot drinks, you might require cup sleeves or go for Double Wall Cups.The cups are environment friendly and recyclable. Single Wall Paper Cups are most suitable to serve, all types of cold beverages, but can be used for Coffee, Latte, Cappuccino, Hot Chocolate, Cold Drinks, Espresso, Tea, Mocha, Milkshakes. Single Wall Paper Cups are best used with Java Jackets or Coffee Sleeves.